Stage 1 Clutch Kit - Pedal HEAVY! I've never had a Stage 1 clutch in a Type 4. The KEP Stage 1 (modified Sachs) feels really heavy on the pedal. I'm OK with it as long as nothing is wrong. Anybody had the same? Are you sure the throw is adjusted properly? 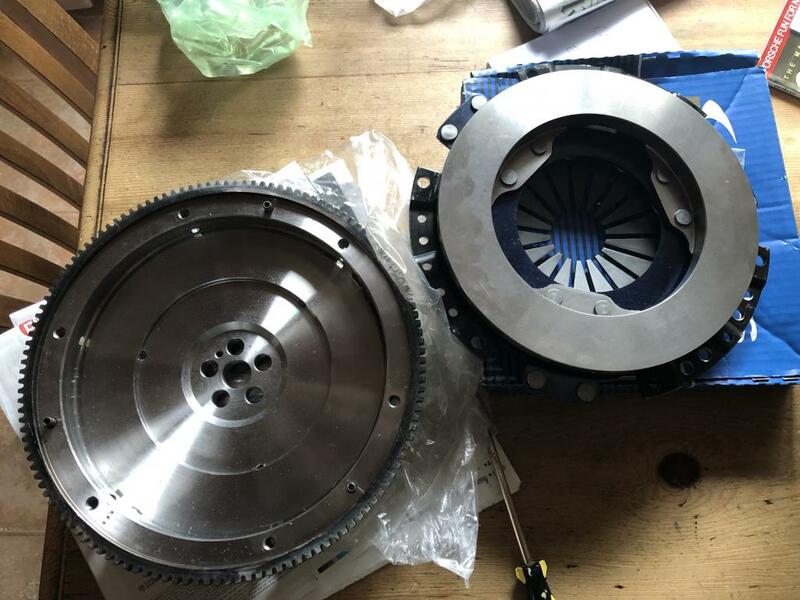 I had KEP Stage I, II and III clutches and i currently run a special made one-off KEP clutch on my 3.6L and while they do feel a bit firmer, i never had any of them feel heavy. Once adjusted properly, you should feel a very distinct point where the clutch disengages and once past that point, the pedal should move freely without much force needed to hold it. It's adjusted a bit low at this point. I don't get that "over center" feel I had in the other Sachs kit, so maybe I'm not fully utilizing some magic leverage point(s)...??? Adjusting it to the correct range definitely helped. Still heavy, but not as bad. Think I need to adjust my pedal stop some now (for shorter throw). Did you ever get this to work well? Terry cables do not have the plastic sheaths in the tunnel that the OEM style cables have. Braided cable on the steel tube causes a lot of drag. Is there an easy way to tell which type of cable that you have? It would probably be tough if it's in the car already. The cable is thinner on a stock one, but without a reference, it would be hard to gauge. The sheath that is a dead giveaway is hidden in the tunnel. Some cables have the brand on the black cable housing between the firewall and transmission.